Our Black Flashing Glove is a fun touch for a nighttime party or parade. 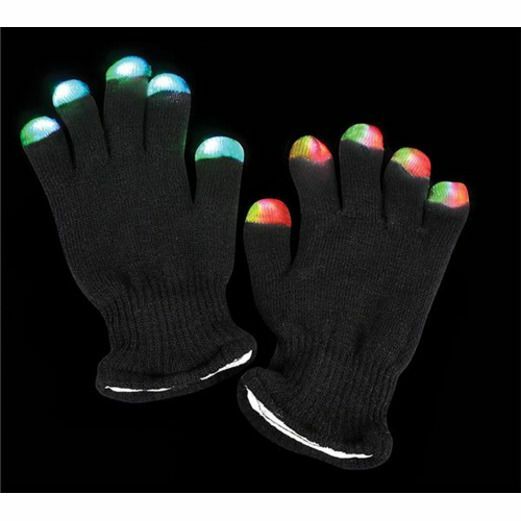 With the press of a button, the fingertips of this glove light up with a shimmering multicolor display. This unique Black Flashing Glove makes a terrific party favor or costume accessory.